This is the first in a series of interviews we'll be doing to highlight people who are committed to the organic movement and care about the impact they have on the environment. It is about people who walk their talk and are honest about what they are doing to make our earth a safer and healthier place to be. What better place to start than the So Organic team - they're an enthusiastic bunch and as I've discovered have the passion for all things virtuous, not just organic! Today we start with the founder of So Organic, Samantha Burlton. What's your main role at So Organic Sam? My main role is being head of the company and generally overseeing everything that we do including the strategy and the direction the company should take. I liaise with new suppliers, deal with PR side of business, talking with journalists and at events as well as looking after the marketing team. How would you describe So Organics company ethos/philosophy? 3 words to describe So Organic? What are the most challenging questions you face from suppliers and/or customers in regards to So Organics ‘organic and natural' status? From suppliers its generally about them questioning our ingredients policy and wanting us to stock things that we don't really agree with. For consumers the challenging questions we get are based on the fact that there is a real lack of knowledge out there about what genuinely constitutes an organic product and what customers mean when they ask for organic products. Many people don't understand that some things just can't be 100% organic all the time. So that's the difficulty, being able to explain to people something is as organic as it can be for its organic type when in fact it might only have 30% of organic ingredients in it. What certifications do So Organic as a company hold? 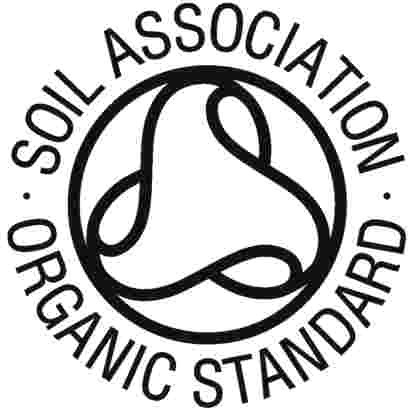 We are certified by the Soil Association as an organic health and beauty retailer and textiles retailer. The So Organic body lotion because it smells lovely, the texture is lovely and it moisturises your skin really beautifully. Other favourites are the Evening Primrose Shampoo by John Masters and the Erase Organic Concealer by NVEY Eco - one of the best organic make up products I've found. 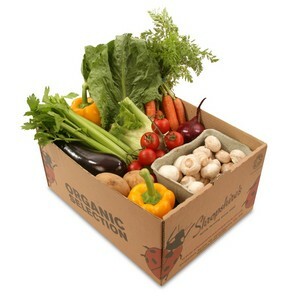 What is your definition of organic? Something where the plant based ingredients or the agricultural ingredients have been grown to strict organic standards without the use of pesticides. 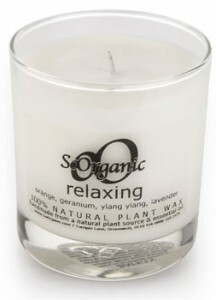 What is your favourite organic brand excluding your own? Probably the Riverford Organic Box Scheme because I think what they're doing in terms of locally produced organic food and getting it out at an affordable price to the British public is absolutely fantastic, and the quality of their products is brilliant. Local sourcing is a prime concern for me. It makes me really angry when we're importing things from thousands of miles away when we're able to produce them in the UK from both an environmental point of view and a human angle. We've driven thousands of UK farmers out of business by wanting cheaper imports. We could help our environment and local population if we started to buy more local products. Would that stop you from stocking overseas products? Yeah, we make decisions about stocking products based on numerous things. We take into account where things come from. We look at it on a case-by-case basis. But pretty much the rule is, something has to be pretty unique or absolutely best in class for us to be willing to import it from a long way away rather than get it close to home. For example we decided we'd discontinue selling the Tushies baby wipes because they come all the way from America and we have at least three other brands that are produced in Europe or the UK and there's no need to do that. Something like the NVEY eco makeup which comes from Australia or the Trilogy skin care range which comes from New Zealand - both of those are best in class products and exceptionally high performance and I think this justifies bringing them in. As well as the fact that Trilogy is completely carbon neutral and it makes offsets in order to counteract the impact of moving their products. Also they ship rather than airfreight. The avoidance of ingredients like parabens, particularly synthetic fragrance, which is really irritating to people with sensitive skin, plus people with allergies and asthma. I'm most concerned about brands like Johnson and Johnson putting products on the market and calling them things like ‘soothing naturals' when they contain virtually no natural ingredients whatsoever - that's really misleading for consumers. What latest innovations in regards to the environment have grabbed your interest? Products that are made from recycled materials. It's not just enough that we're recycling we need to be buying things that are made from recycled materials. 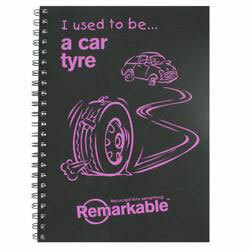 Things like the Remarkable products that are made from recycled plastic and car tyres are fabulous. Making things that are not brand new. Brands like Patagonia who make clothes from recycled bottles. I think that's the kind of thing that needs to be encouraged. What is you worst eco habit? Leaving too many lights on. Guy Watson who founded Riverford Organic. He's been so strong with rejecting working with supermarkets because of the way they were treating him and their attitude to business and he's had the strength to decide the way he'd like to do things, stay true to his principles and still build a very successful business. And he's not been afraid to say what he thinks. What I really hope happens is that because of climate change issues we start taking the environment a lot more seriously, that we'll all be recycling a lot, that we'll all be shopping locally. We'll all be buying products that have a lower impact on the planet and consuming fewer, better quality products. That's what I'd like it to be like. I don't know if it will be. I think that we have a really big opportunity but it's going to be a battle against the rampant consumerism from those who want more and more for cheaper and cheaper prices all the time. The alternative is too horrible to think about.